Citroen AUX adapter with 3.5mm jack lead for MP3 players and iPods / iPhone connection CTVPGX011 and radio release keys. Citroen aux input adapter CTVPGX011 features. Part number - CTVPGX011. Citroen aux input adapter CTVPGX011 compatibility. Connects2 part number - CTAARBT001. Bluetooth streaming CTAARBT001. 3.5mm Aux jack input forconnecting non-Bluetooth devices. NOT COMPATIBLE with ICS system in the Alfa 166. Separatemicrophone for hands-free Bluetooth calls included. ThisAudi Aux input adapter allows you to connect aniPod, iPhone, iPad, MP3 player, basically anything with a head-phone jack output, to Audi A2 A3 A4 A6 A8 TT car stereo models listed below. Audi Aux input adapter with 3.5mm jack lead for MP3 players and iPods / iPhone connection CTVADX001. Peugeot Bluetooth music streaming handsfree calls CTAPGBT011 for Peugeot 207 307 308 3008 407 607 807 with RD4 radio. 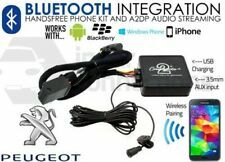 Peugeot Bluetooth streaming CTAPGBT011 features. The newCTAPGBT011 Connects2Bluetooth Handsfree Interface for Peugeot 207 307 308 3008 407 607 807 provides a versatile dual solution for your vehicle. Mazda RX-8 Bluetooth streaming handsfree calls CTAMZBT001 for Mazda RX-8 approx 2006 - 2009. 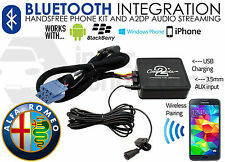 Mazda RX-8 Bluetooth streaming adapter CTAMZBT001 Device Compatibility. Mazda RX-8 Bluetooth streaming CTAMZBT001 features. VW aux lead adapter CT29VW01. Connects2 part number - CT29VW01. VW aux input adapter CT29VW01 compatibility. 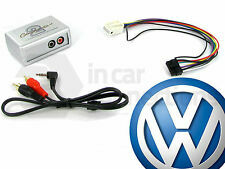 ThisVW aux adapter lead provides 2 x RCA phono inputs and connects via the 10 pin round mini-ISO input at the rear of compatible VW Passat Beetle Sharan Golf Transporter Bora Lupo Polo factory fitted car stereos. Alpine Ai-Net aux lead adapter CT29AL02. Connects2 part number - CT29AL02. 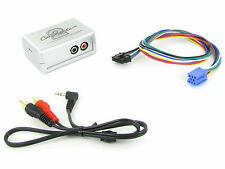 ThisAlpine Ai-Net aux adapter lead provides 2 x RCA phono inputs and connects via the Alpine Ai-Net CD changer input at the rear of compatible Alpine after-market car stereos. Connects2 part number - CTAHOBT001. 3.5mm Aux jack input forconnecting non-Bluetooth devices. Separatemicrophone for hands-free Bluetooth calls included. Answer and reject calls through the FF (Fast Forward) button on your original car stereo. Mazda CX-7 Bluetooth streaming handsfree calls CTAMZBT002 for Mazda 3 Mazda 5 Mazda 6 Mazda and CX-7 etc. Mazda CX-7 Bluetooth streaming CTAMZBT002 features. Connects2 part number - CTAMZBT002. Mazda CX-7 Bluetooth streaming CTAMZBT002 compatibility. 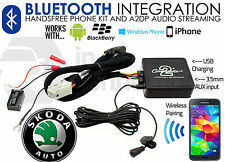 VW Transporter Bluetooth streaming handsfree calls CTAVGBT009 for VW. CTAVGBT009 VW Bluetooth Adapter Device Compatibility. 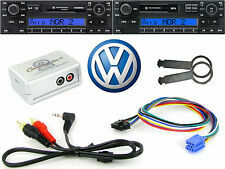 VW Transporter Bluetooth streaming CTAVGBT009 features. Connects2 part number - CTAVGBT009. VW Bluetooth adapter for streaming handsfree calls CTAVGBT003 for VW Golf Mk 4 Polo Lupo Passat Bora Beetle Jetta Sharan Transporter T4. VW Golf Bluetooth adapter for streaming CTAVGBT003 features. Connects2 part number - CTAVGBT003. Suzuki Vitara AUX input adapter with 3.5mm jack lead for MP3 players and iPods / iPhone connection CTVSZX001. Suzuki Vitara AUX input adapter CTVSZX001 features. Part number - CTVSZX001. Suzuki AUX input adapter CTVSZX001 compatibility. The radio must match that pictured and have a selectable AUX function. Fiat Bravo AUX input adapter lead for the Visteon radio with AUX function, for MP3 players and iPods / iPhone connection - Radio Release keys included. Audi A4 Bluetooth music streaming handsfree calls CTAADBT003 for Audi A4 A3 A2 A6 A8 S4 and TT. 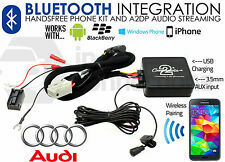 Audi A4 Bluetooth streaming CTAADBT003 features. The newCTAADBT003 Connects2Bluetooth Handsfree Interface for Audi A4 provides a versatile dual solution for your vehicle. Porsche Aux Input Adaptor Lead Removal Keys. Aux Adaptor Mini ISO - 3.5mm Jack. STEREO REMOVAL KEYS: Stereo Removal Keys to remove head unit from the fascia cage. Porsche Models with CR-22. car audio accessories. Smart Car aux jack lead adapter CT29MM02. Connects2 part number - CT29MM02. Smart Car aux input adapter lead CT29MM02 compatibility. ThisSmart Car aux adapter jack lead provides a 3.5mm jack input and connects via the Mini-ISO connector at the rear of compatible 2007 onwards Smart ForTwo factory fitted car stereos. BMW 3 Series USB adapter CTABMUSB007 for BMW 3 Series E46 1999 - 2006. USB input plus AUX input and SD card input. BMW 3 Series USB adapter CTABMUSB007 features. Connects2 part number - CTABMUSB007. BMW 3 Series USB adapter CTABMUSB007 compatibility. TheAIRSTREAM12V from Connects2 allows you to connectany Bluetooth A2DP enabled device (smartphone, iPod, tablets etc) wirelessly to your in car stereo via Bluetooth, enabling you to stream music and other audio files. Renault Kangoo - approx 2005 onwards with Update List radio with following written on face - EXPERT to left of tone button, UPDATE LIST bottom right. Renault Clio - approx 2005 onwards with Update List radio with following written on face - EXPERT to left of tone button, UPDATE LIST bottom right. Lexus Bluetooth streaming handsfree calls CTALXBT001 for Lexus GS Series, IS Series, LS400/430, RX300/430 etc. Lexus Bluetooth streaming CTALXBT001 features. Connects2 part number - CTALXBT001. Lexus Bluetooth streaming CTALXBT001 compatibility. Honda Aux input adapter with 3.5mm jack lead for MP3 players and iPods / iPhone connection CTVHOX002. Honda aux input adapter CTVHOX002 features. Part number - CTVHOX002. Honda aux input adapter CTVHOX002 compatibility. BMW Aux input adapter with 3.5mm jack lead for MP3 players and iPods / iPhone connection CTVBMX002. BMW aux input adapter CTVBMX002 features. Part number - CTVBMX002. BMW aux input adapter CTVBMX002 compatibility. Toyota Aux input adapter with 3.5mm jack lead for MP3 players and iPods / iPhone connection CTVTYX001. Toyota aux input adapter CTVTYX001 features. Part number - CTVTYX001. Toyota aux input adapter CTVTYX001 compatibility. Land Rover Aux input adapter with 3.5mm jack lead for MP3 players and iPods / iPhone connection CTVLRX002. Land Rover aux input adapter CTVLRX002 features. Part number - CTVLRX002. Land Rover aux input adapter CTVLRX002 compatibility. Vauxhall Astra Mk5 & VXR (H) 2004>. Vauxhall Corsa D & VXR 2007>. Vauxhall Zafira & VXR 2005>. You will receive a pair of Vauxhall Double DIN Radio Removal / Release Keys. Vauxhall Agila 2000>. Vauxhall Antara 2006>. Audi A2 A3 A4 A6 A8 TT aux lead adapter CT29AU03. Connects2 part number - CT29AU03. Audi aux input adapter CT29AU03 compatibility. 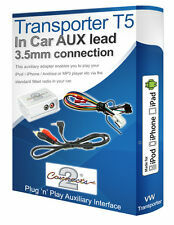 Audi aux lead and monitor amp line adapter features. Aux lead connects via AudiQuadlock connector at rear of compatible radios. Kenwood aux lead adapter CT29KW01 (Kenwood CA-C1AX) plus RCA to 3.5mm jack lead. ThisKenwood aux adapter plus RCA to 3.5mm jack lead provides a 3.5mm jack input and connects via the Kenwood CD changer input at the rear of compatible Kenwood after-market car stereos. IPod lead for Ford Fiesta 2008 onwards CT29IP04. 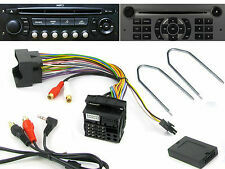 Ford Fiesta iPod lead CT29IP04 features. Part number: CT29IP04. iPod dock lead for Ford Fiesta 2008 onwards. Note: June 2008 onwards iPhone or iPod models: iPhone 3G, 3GS, 4, iPod Touch 2nd gen, iPod Nano 4th and 5th gen, iPod Classic 6th gen (120GB and 160GB) require a 12v to 5v charging adapter. 1.2m 3.5mm jack to 3.5mm jack lead for JVC, Alpine, Sony, Kenwood, Blaupunkt, Pioneer car radio etc. Feed audio from portable music devices such as iPods, iPhones and MP3 players into your JVC car stereo (3.5mm jack aux input required). Smart Car aux jack lead adapter CT29MM01. Connects2 part number - CT29MM01. Smart Car aux input adapter lead CT29MM01 compatibility. Smart Car aux jack lead adapter features. Aux lead connects via Smart Car8-pin Mini-ISO connector at rear of compatible radios. Wired FM Modulator FMMOD6 by Connects2 with 3.5mm jack cable included. Wired FM Modulator FMMOD6 by Connects2 features. Connects2 Wired FM Modulator FMMOD6 compatibility. This FM transmitter wires directly into your car radio aerial input to provideFM radio quality sound. CTVSTX002 Seat Aux input adapter with 3.5mm jack lead for MP3 players and iPods / iPhone connection. CTVSTX002 Seat AUX input adapter features. CTVSTX002 connects via CD changer connector at rear of stereo. CT29LR01 Aux Input Lead. This auxiliary input adapter enables a seamless connection of external audio source to your factory fitted radio. You can connect any audio sources ( such as portable MP3 player, iPod, etc ) via RCA sockets or by using the RCA to 3.5mm headphone cable. This handymountable USB extension can be used to either provide aflush mounted USB input on your dash or other surface. Alternatively, use the provided bracket to mount on any suitable surface. ThisUSB extension mount is designed for in car use and is compatible with anycar stereo equipped with a USB input. ThisFiat Grande Punto and 500 AUX cable adapter lead provides a 3.5mm jack input and connects via the 6 pin mini-ISO connection at the rear of compatible 2007 onwards Fiat factory fitted car stereos. CT29IP15 iPod iPhone cable for Nissan models with iPod input features. Connects2 part number: CT29IP15. Nissan models approx 2009 onwards Altima, Cube, Juke, Maxima, Murano, Sentra. iPhone 5, iPod Touch 5G, iPod Nano 7G onwards will also require Apple Lightning adapter. BMW X5 Z3 Z4 Mini Cooper aux lead adapter CT29BM03 plus RCA to 3.5mm jack lead. Connects2 part number - CT29BM03 plus RCA to 3.5mm jack lead. BMW aux input adapter CT29BM03 compatibility. ThisBMW X5 Z3 Z4 Mini Cooper aux adapter plus RCA to 3.5mm jack lead provides a 3.5mm jack input and connects via the Quadlock connector at the rear of compatible BMW factory fitted car stereos. Ford Aux input adapter with 3.5mm jack lead for MP3 players and iPods / iPhone connection CTVFOX001. Ford AUX adapter connects via external CD changer connector at rear of stereo. Ford aux input adapter CTVFOX001 features. 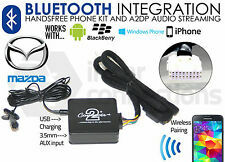 ThisBMW Aux input adapter allows you to connect aniPod, iPhone, iPad, MP3 player, basically anything with a head-phone jack output, to BMW 3 Series, 5 Series, Mini, X3, X5 and Z4 car stereo models listed below. Universal ISO Radio Removal / Release Keys for Single DIN Stereos. Renault Trafic 2001>. Renault Trafic 2006>. Renault Master 2005>. You will receive a pair of Universal ISO Removal Keys. Fiat Coupe 1995>. RCA phono to 3.5mm jack lead CT29AX01 2M version. Part number: CT29AX01. RCA phono to 3.5mm jack lead 2M features. Feed audio from portable music devices such as iPods, iPhones and MP3 players into your car stereo (phono aux input required). Peugeot 407 AUX Adaptor Lead -. Peugeot 407: 2004 - 2008. Installation of this this adapter is simply plug and play, it connects to the rear of your original car head unit. Once fitted you can listen to all. BMW X5 Aux input adapter with 3.5mm jack lead for MP3 players and iPods / iPhone connection CTVBMX001. BMW X5 aux input adapter CTVBMX001 features. Part number - CTVBMX001. BMW aux input adapter CTVBMX001 compatibility. Renault Aux input adapter with 3.5mm jack lead for MP3 players and iPods / iPhone connection CTVRNX001. Renault aux input adapter CTVRNX001 features. Part number - CTVRNX001. Renault aux input adapter CTVRNX001 compatibility. Skoda Fabia Octavia Aux input adapter with 3.5mm jack lead for MP3 players and iPods / iPhone connection CTVSKX001. Skoda AUX input adapter CTVSKX001 features. Part number - CTVSKX001. 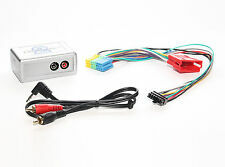 Skoda AUX input adapter CTVSKX001 compatibility.